Anxiety is one of the most common mental health problems in NZ with around 15% of New Zealanders suffering from an anxiety disorder. Anxiety is the term used to describe feelings of tension, apprehensiveness, worry & fear. Other symptoms include irritability, tiredness, inability to sleep, jumpiness, feeling shaky, shortness of breath, tense muscles and headaches. Phobias – this is anxious feeling you get when faced with a specific situation or stimulus. For example fear of flying or confined spaces. Panic disorder – this is experiencing acute but reasonably short attacks of anxiety, apprehension & terror, often with unknown triggers. It is also accompanied by a more constant fear of having another attack and how that might affect the current situation. Post-Traumatic Stress Disorder – this is anxiety resulting from one or more traumatic experiences. For example abuse, an attack, a natural disaster, car accident or any emotionally traumatic event. Generalised Anxiety Disorder – this is persistently feeling anxious for with no obvious reason or trigger. There is no one cause of anxiety. It can be from a single traumatic event, or can build up over time from an inability to deal with stress effectively. 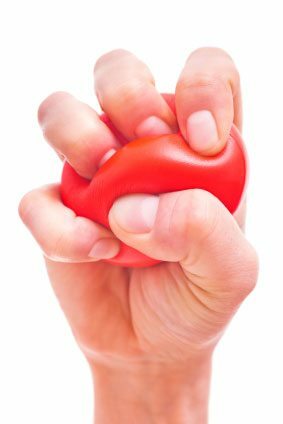 Some people have a different chemical balance in the brain resulting in a predisposition to stress and anxiety. If other members of your family suffer from anxiety then you are more likely to experience similar symptoms. There are many approaches to anxiety treatment. The most common approach is to see a mental health professional – a psychologist or a counselor. Often medication is prescribed to help to calm the body, however there can be side affects. Eliminating stimulating foods from your diet – e.g. caffeine and excess sugar. I personally suffered from anxiety since I was a kid. As an adult I decided to address this and I found a few therapies to be most effective – Counselling, NLP (Neuro Linguistic Programming) & Craniosacral Therapy (CST). Craniosacral Therapy is excellent at calming the nervous system. Regardless of the cause, when you are feeling anxious, your nervous system is “fired up”. Mainly because the nervous system perceiving a threat and goes into a mild fight or flight mode. Now fight or flight mode is a good thing if you are actually being chased by a bear and need to react. However, it is designed to be a temporary state. Anxiety sufferers operate partially in this mode all the time and during panic attacks we are often at 100%. The more we stay in this mode, the more the nervous system learns to get into that mode. This is very fatiguing on our bodies & not good for our health in the long term. Craniosacral Therapy is extremely effective at contacting the nervous system directly and bringing it back into normal operation. Of all the therapies I have experienced, I have found nothing as effective as CST in this regard. Over time, Craniosacral Therapy re-teaches the body and nervous system to slow down and remain at normal levels of operation. If there is a particular trauma that is triggering the nervous system, CST helps to release this pattern at a deep level. When the nervous system is more resourced and running at an optimum level, it is much more resilient to triggers and stressors that would normally cause activation or panic. Read testimonials from people who have benefited from Craniosacral Therapy. Counselling is an excellent therapy to address the deeper emotional issues that can be present with anxiety. Anxiety can be a mental battle at times because the more we try to relax, the more we become aware of our anxiety symptoms and the feelings can exacerbate. The trick here is to become friends with your anxiety. When you feel it, don’t try to ‘run away’ from it, or hide it. On a primitive level, it is most likely a very logical response that your system is producing. Sometimes the best course of action is to take very small steps towards addressing anxiety & the surrounding issues. Counseling is an exception tool for dealing with anxiety & is able to uncover and resolve the reasons for the response in a very safe environment. I notice a lot of concerns from people about having counseling. I think people have an expectation of a very intense therapy with lots of emotional outbursts in order to deal with these issues. However this is the complete opposite of the counseling experience. Emotional outbursts are not the goal of counselling, in fact they are avoided as it is not helpful. Counselling is simply having a conversation with another person, who happens to be able to skillfully guide & ask question so that issues are uncovered and resolved. Most of the time you don’t even know this is happening, and it is all done at your own pace. Just as the body loves being heard on the somatic level through Craniosacral Therapy, there is something very powerful about being listened to on the personal level through counseling. Sometimes there are specific stressors that cause us to panic or be anxious (especially in the case of phobias), and it is helpful to address them on a mental level. If we know what theses stressors are, NLP is an extremely effective therapy that transforms the way we think about them – both consciously and subconsciously. With the aid of NLP, anything we believe, think & feel about a situation can be changed by using very clever techniques. These 3 therapies have been very effective for me personally and I hope this article gives you some further options for help with anxiety. As with any mental health or physical health issue, please seek professional advice first. "Four weeks in and NOT one migraine! In general I feel a lot happier and positive, at ease with myself, more energetic and able to think more clearly..."